With the 2016 Presidential Election drawing closer, University Police Major Michael Jagoda discussed the possibility of community unrest that could potentially manifest following the results of the election on Nov. 8, as well as the contingency plans and initiatives university police have prepared. In addition to normal emergency protocol, university police have received training in preparation for times of community turbulence, Jagoda said. “We are prepared with contingency plans that follow the community policing philosophies set forth by President Dooley, so that we are equipped to handle all situations we are faced with, in a way that demonstrates the mutual respect our community has,” he said. 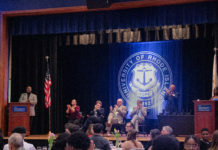 He explained that the department has been collaborating with Public Safety, Housing and Residential Life, as well as Student Affairs to make sure all students and the URI community as a whole is safe, in regard to handling the potential risk of community aggression. Since the start of the semester, campus police have been establishing a rapport with the community, making their presence known and forming an environment of mutual respect, Jagoda explained. 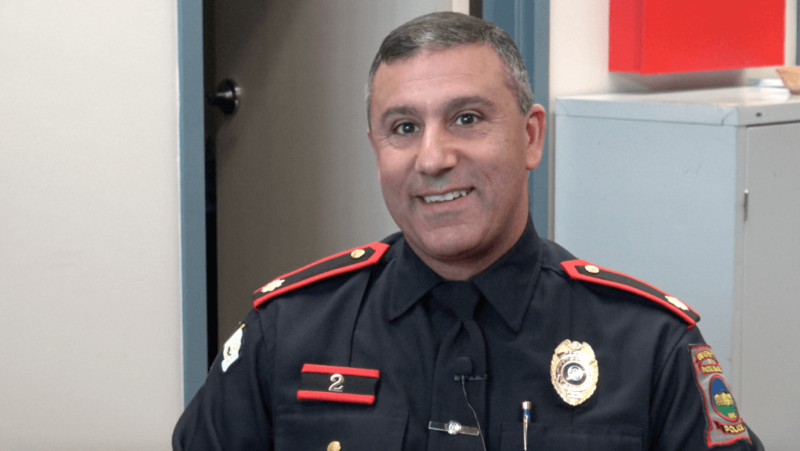 “The community knows of our job responsibilities to embrace and reinforce community values and standards, for the further insurance of campus wide security,” he said. As far as community outrage, Jagoda said that campus police aren’t too concerned about “potential student unrest” after the new presidential candidate is chosen. To ensure the safety of the community, following the election results, university police will be out—in uniform and plain clothes—monitoring the situation. In the event community members do choose to act out and are disruptive, causing the destruction of property or bringing harm to others, they will be held accountable by the state statute and University conduct standards. It is an important message that students have the right to express their thoughts, but to do so in a way that shows respect for the community and members of the community. As a community member, it is important to be aware of your surroundings and responsible for your actions. Although university police do not anticipate a large reaction from the student body following the results of the election it is imperative to know that any form of violence or retaliation will be met with disciplinary actions from Housing and Residential Life and the Conduct Office. Previous articleIs it appropriate for entertainers to publicly state their political views?